The question of what (and what not) to wear on a cruise ship is a major concern for the modern, style-conscious traveller. Cruise line dress codes vary between different cruise lines; often leaving guests feeling confused about how they should dress, or more importantly, how everyone else will be dressed. From formal nights and black tie evenings to swimwear and casual attire, cruise line dress codes may seem confusing at first. However, to help you avoid a fashion crisis on your next fun-filled cruise getaway, we have compiled a useful guide to the cruise line dress codes that you may encounter, on some of the most popular cruise lines out there. Carnival cruises permit casual attire just about everywhere and at any time aboard their vessels, as most evenings they allow a ‘Cruise Casual’ dress code. This can include informal attire such as t-shirts, tank tops, polo shirts and shorts as well as sun dresses for women. Families with children should be aware, however, that shoes with wheels (or Heelys) are not permitted anywhere on the ship and flip-flops, bathing suits and caps are not allowed in the main dining rooms. Carnival’s cruise line dress codes also incorporate several ‘Cruise Elegant’ evenings, offering passengers the chance to dress up in their formal garb for a more sophisticated evening. Elegant attire is described by Carnival as dress shirts and sports coats for men alongside cocktail dresses and pant suits for women. Those who wish to stay casual even during these ‘Cruise Elegant’ nights will find that Carnival’s Lido Restaurant does not enforce a formal dress code. Cunard cruises have a series of dress codes across the different nights on-board. These can vary between elegant, formal and semi-formal evenings, which require guests to maintain certain dress codes in the ship’s public areas. Elegant attire entails a jacket and optional tie for men and skirts or trousers for women. On formal evenings men are expected to wear a black tie suit whilst women must don an evening dress, and for semi-formal a tie and jacket for men and pant suit or cocktail dress for women will suffice. On average, during a seven-night cruise, guests will experience three formal, two semi-formal and two elegant nights. Not all areas of the ship are bound by these dress codes, however, as casual clothing is permitted at any time within the vessels’ Lido Restaurants and King’s Court, except for shorts and swimwear, which is not permitted in any of the ship’s main eateries. Most evenings on-board Celebrity Cruises will have a smart casual dress code, with certain evenings dedicated to ‘Evening Chic’, Celebrity’s version of formal nights. You’ll find one of these nights on cruises of 6 nights or less, and at least two on cruises of 7 nights or longer. For smart casual nights, women should wear a skirt or trousers with a sweater or a blouse. Men will need to pack trousers coupled with a polo shirt or sweater. Sleveless tops for men and ripped clothing is not allowed. Evening Chic nights require relaxed, yet sophisticated, attire. For women, this means a cocktail dress, skirt, trousers, or smart jeans with an elegant top. For men, opt for trousers or smart jeans with a dress shirt or button-down shirt or sweater, with and optional jacket or blazer. Crystal Cruises allow their guests to wear casual clothes, including shorts and jeans, in any of the on-board lounges and dining areas up until 6pm. After 6pm, shorts and baseball caps are not allowed in these areas and the cruise line dress codes enforce either elegant casual or formal attire. Most nights will have an elegant casual dress code, which is fairly informal. Jeans are not recommended for these evenings and men should dress in a suit or slacks with a jacket or sweater whilst women should don a skirt and blouse. Optional black tie evenings are also included within Crystal Cruises. Men are encouraged but not forced to wear a dark suit or tuxedo and women should pick out their favourite dress or gown. Once again, during formal nights, jeans are not appropriate. During the day, casual attire is perfectly acceptable. Evenings may be ‘formal’, ‘informal’ or ‘casual’ and this is announced on the Daily Programme each day. There are two formal nights on each cruise, which offer people the chance to get dressed up. Gentlemen may choose to wear a dinner jacket, although a lounge suit is also acceptable, and ladies may wear an evening gown or cocktail dress. 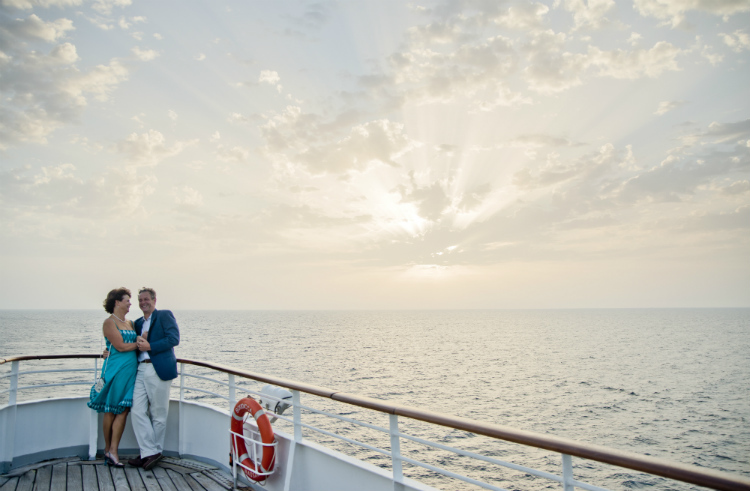 On evenings designated as ‘informal’, Cruise & Maritime Voyages suggests that men wear a smart jacket (with or without a tie) and ladies wear elegant dresses or stylish co-ordinates. Casual evenings cover evenings in port or when a special event is scheduled such as a deck party. In these cases you may wear whatever you wish. Fred. Olsen Cruise Lines is fairly relaxed when it comes to cruise line dress codes. The majority of evenings require smart casual clothing; with the exception of a few formal nights, when guests have the opportunity to dress up. For men, smart casual can be interpreted as a pair of trousers or smart, dark jeans and a polo or button-up shirt, whilst for women, smart trousers or dresses are perfectly acceptable. However, guests should also be aware that tracksuits, trainers and shorts are not allowed in any of the ship’s main restaurants. 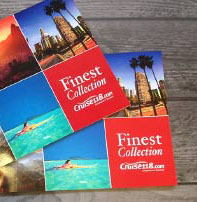 Fred.Olsen also allows passengers the chance to dress up at their formal or theme nights. For formal nights, they suggest that men should wear a dinner jacket or suit, whilst women should have on a cocktail dress or ball gown. 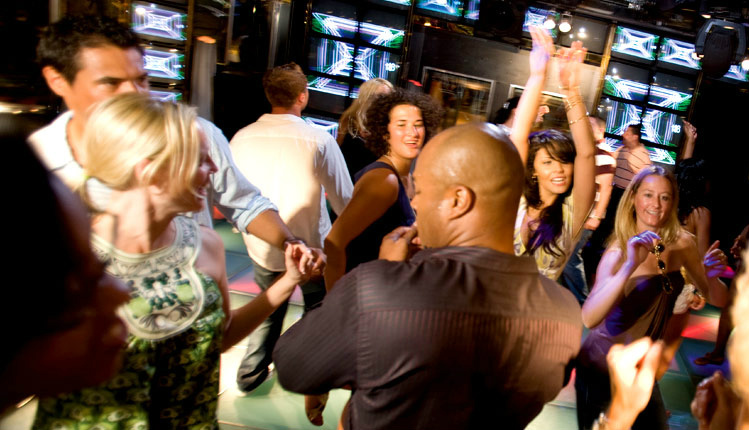 A variety of theme nights may also take place, including Rock ‘n’ Roll evenings and nautical nights, at which passengers can choose to dress in themed attire for a bit of fun. On MSC cruises, casual resort wear is appropriate every evening, except for the formal evenings. You will find one formal evening on 4-6 night cruises, two on 7-9 night cruises, three on 10-14 night cruises and four on longer voyages. On these evenings, guests are requested to wear suit jackets and ties for men, and cocktail dresses for women. Passengers wishing not to participate can enjoy a more casual dining experience in the Lido buffet. On all other evenings, anything goes except for t-shirts and shorts. Jeans are allowed as long as they aren’t ripped. In addition, there are often theme nights where passengers are invited to dress to a certain theme such as White Night, Tropical Night, or 60s/70s/80s. NCL has no set dress code, meaning that you can wear pretty much whatever you want, whenever you want. The only exceptions are vest tops for men, flip flops, baseball caps, or ripped jeans, which are not to be worn in the main dining rooms or speciality restaurants. 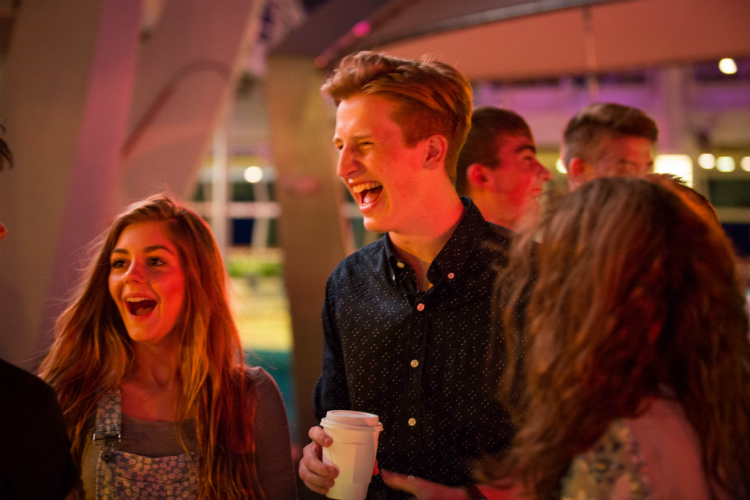 On most cruises, there will be an optional formal night called ‘Norwegian’s Night Out’. You may also want to pack an all-white outfit for the iconic White Hot Party. Oceania Cruises keep their cruise line dress codes particularly simple and casual. Although jeans, shorts, t-shirts and trainers are not tolerated in the ship’s main eateries after 6pm, for the majority of the voyage, stringent dress codes are not enforced. Although Oceania has no official formal evenings, guests are welcome to don their formal garments at some of the more elegant on-board restaurants, where dressing up is actively encouraged. Guests who wish to stay in their sweatpants and scruffy t-shirts late into the evening are welcome to take advantage of the room service option available across the vessel. 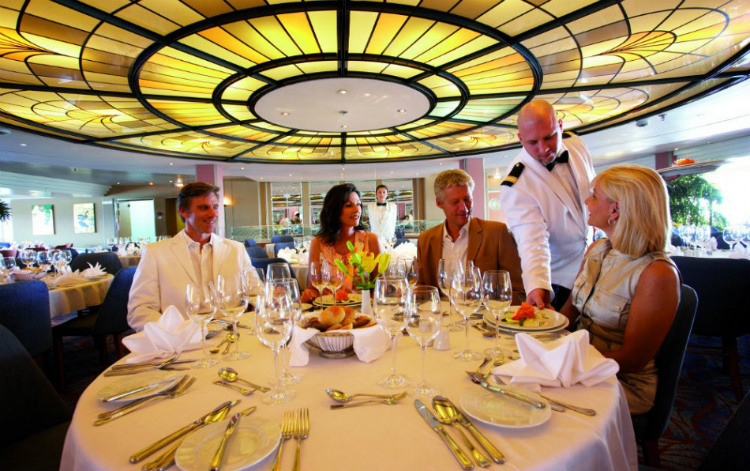 P&O Cruises have two evening dress codes – Evening Casual and Black Tie. On casual evenings, recommended attire includes casual dresses or separates for women and polo shirts or open-collar shirts and casual trousers for men. A jacket and smart trousers can be worn but are not compulsory. Smart dark denim is also fine, but trainers, football shirts, tracksuits, shorts, sandals and sleeveless tops for men are not allowed after 6pm. On Black Tie evenings ladies wear glamorous cocktail dresses, ball gowns or smart trouser suits. Most men will opt for dinner jackets or tuxedos, but a dark lounge or business suit and tie can be worn as an alternative. You can also wear formal national dress and military uniform. Children may wear casual attire on formal evenings, but not denim. 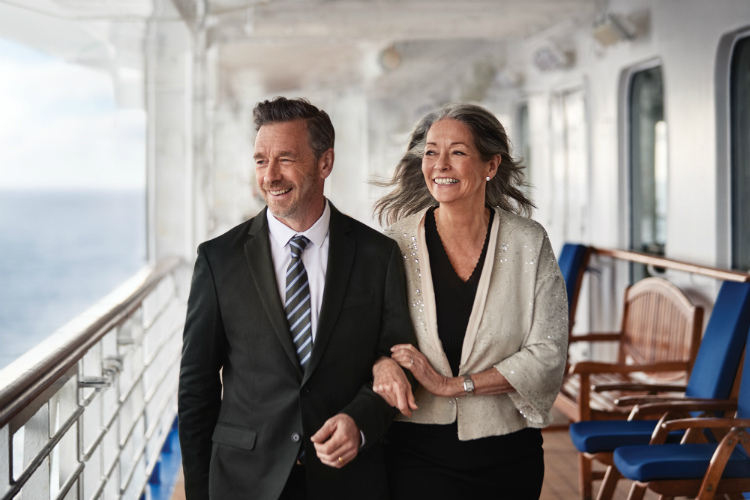 Princess Cruises incorporates both smart casual and formal evenings on their voyages, while almost any casual wear is allowed for the duration of the day. 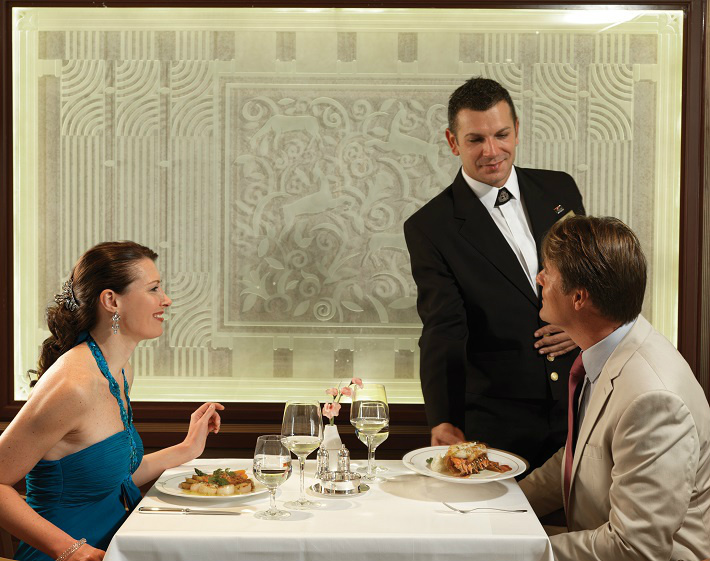 In the ship’s restaurants and other public areas during a smart casual evening, passengers should dress appropriately, with women wearing jumpers and skirts or trousers and men wearing pants and shirts. Beach wear, caps and ripped jeans are not permitted. During the optional formal nights women are encouraged to put on their best evening gowns and cocktail dresses, whilst men should opt for tuxedos or dark suits with a tie. 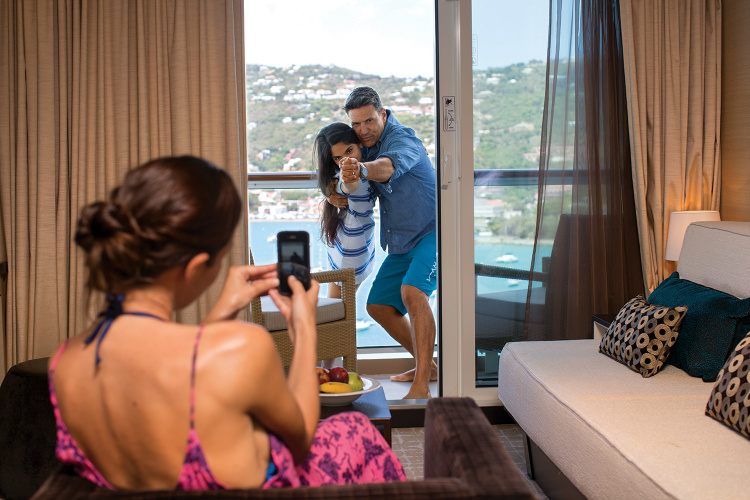 Formal nights are not particularly regular and guests can expect at least one during a seven-day cruise. 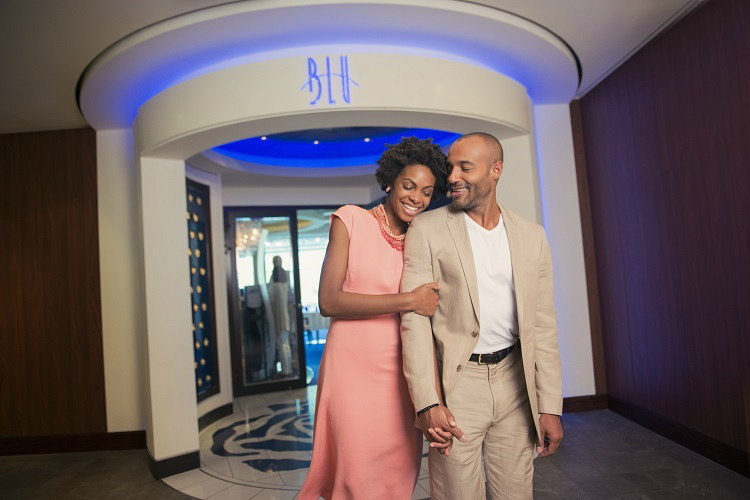 On Royal Caribbean ships, the dress code may be casual, smart casual or formal each evening. Casual wear may include polo shirts and trousers for men and sundresses, trousers and casual skirts and tops for women. Smart casual may include trousers, shirts and jackets with or without a tie for men, and dresses or trouser suits for women. There is usually one formal night on cruises up to five nights, two on cruises up to 12 nights and three on longer cruises. Formal attire consists of a suit, shirt and tie or dinner jacket for men and cocktail dresses for women. Tuxedo rentals are available on-board. Formal nights are not mandatory, so if you prefer not to participate, there are several other restaurants where you may choose to dine casually. Although it is impossible to include the exact rules, regulations and cruise line dress codes of every cruise line within this article, the above examples give a good overview of many cruise lines’ expectations of their guest’s attire. Nowadays, many companies are constantly relaxing their cruise line dress codes as the times and fashions change, but the vast majority still offer the chance for passengers to throw on their best attire and strut their stuff at fashionable formal evenings. Would you like to cruise with any of the cruise lines mentioned in this post, or find out more about the dress code of a cruise line that we haven’t mentioned? Call our Cruise Concierge team on 0808 1234 118 for more information. Why have a dress code when the empoyees don’t enforce it. Some cruise line were letting passengers away with Wearing football tops in the evening!! 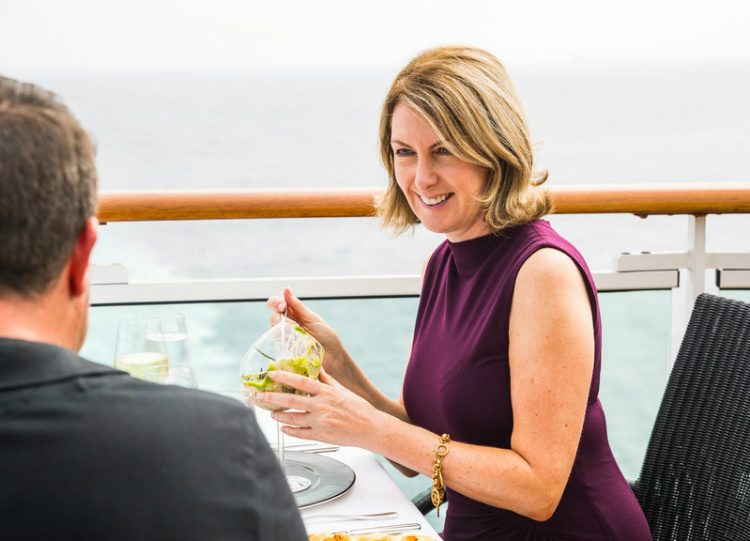 Eating healthily on a cruise? It is possible!